André Francisco Pilon joined the community. 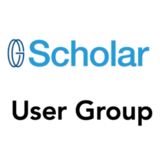 Gbeli Ahou commented on an update #‎DigitalScholar‬, Course Announcement. Richard Tongo Ngbanda starred an update #‎DigitalScholar‬, Course Announcement. Richard Tongo Ngbanda commented on an update The Trouble with Learning Management Systems. Richard Tongo Ngbanda commented on an update Critical Clinical Thinking in Scholar. Juan Hernandez joined the community. Ngoy Babwa pascaline starred an update Groups Using Scholar Now.